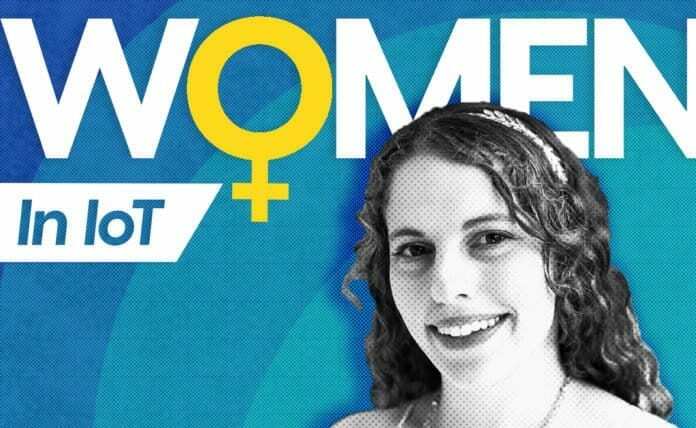 The first article in our Women in IoT interview series highlights the personal mission of Microsoft Technical Program Manager Beth Anne Katz to fight the stigma of mental health in tech and the workplace. Beth Anne Katz graduated from Carnegie Mellon University with degrees in Electrical & Computer Engineering and Hispanic Studies in 2014. Following graduation, she joined Microsoft where she has been for 4+ years. She is currently a technical program manager at Microsoft and is the founder of Katzbe Fights Depression, a movement to overcome the stigma of mental health. She was recognized in 2018 for her work by the National Alliance of Mental Illness (NAMI). IoT For All (IFA): Tell us about your current role and journey into the IoT/tech space. Beth Anne: In high school, I was almost certainly headed toward a major in music. During my junior year, however, I was haunted by what I would later learn was a severe depression diagnosis. As I managed my recovery, I decided to reinvent myself as a way of healing. I consequently moved away from a major in music, and my love of math routed me to apply instead to engineering schools. In the spring of 2010, I was accepted into Carnegie Mellon University’s School of Engineering and matriculated that fall. Within my first school year, I had declared a major in Electrical and Computer Engineering. In 2013, I was fortunate to be selected for an internship at Microsoft, where I later accepted a post-graduation full-time offer. Today, nearly five years after starting full-time, I continue to work as a technical program manager at Microsoft, introducing improvements and new features on Windows and Office. IFA: What do you think about the current state of IoT and its future? What makes it exciting? Beth Anne: When I was in college, my department hosted a tech talk where a visiting company explained the applications of some IoT technology they were working on. I remember a specific example of sensors embedded in concrete support structures to measure if the concrete had set properly. I was awed by that insight into solving an incredibly challenging problem–how do you verify something you can’t see? I was so impressed by the renewed confidence this technology enabled in such a critical application, an application that can be devastating and tragic if done wrong. That talk was one of the first glimpses I saw of the awesome potential of IoT. Since then as my program manager muscles have matured and I’ve learned to think through the end-to-end of scenarios and solutions, I am riveted by what IoT can do for humanity. Namely, the more things we connect and automate, the less those tasks will take time and energy away from the individuals who manage them. As more trivial tasks are done by computers and not people, suddenly people become unblocked from a technology perspective to solve even more complex problems and from a personal perspective to dedicate their time in more meaningful ways. A whole population’s worth of freed up resources to pour into new problems is an incredibly powerful possibility. IFA: What do you wish you had known prior to joining the industry? Beth Anne: Before starting, I really wish I had internalized that studying and working in tech is inherently not a level playing field. Carnegie Mellon (CMU) is world-renown for its tech programs, especially computer science and computer engineering. What this means is that it attracts some of the best aspiring techies in the world, people who have known they wanted to study tech their whole lives. Some people were children of notable tech moguls. Some people had programmed since they were in elementary school. Some had attended special prep programs specifically for STEM. Some had done all three. I wasn’t anything like that—I just liked math. When I started at CMU, I had never programmed before, yet I was sitting in lecture next to people who learned how to complete our class assignments before they had hit their first growth spurt. That disparity doesn’t end after you’ve graduated, as suddenly you’re working alongside folks with decades of industry experience. That whole situation is crazy intimidating. The takeaway here is that, as hard as it is, you have to learn to judge yourself against only yourself, not other people. That means you must show yourself compassion if you’re struggling with something other people seem not to. You don’t fully know anyone else’s story; they don’t know yours. Understanding that would have made my journey in tech a lot easier. IFA: What is the greatest obstacle facing women interested in joining the IoT space today? Beth Anne: I’d like to take a step back and talk about the tech industry more broadly, as the obstacles I see are applicable to the wider field. An engineering degree can be really brutal to get, regardless of gender. The hard math and science-heavy courses are incredibly challenging. Programming projects take dozens of hours per week, and you usually have multiple in progress at the same time. The education isn’t easy. Not to say you can’t do it though—it’s achievable, but hard. Entering the workforce is harder for women because of the lack of representation. At a Grace Hopper conference I attended, Sheryl Sandberg discussed research where people tend to hire people like themselves. This means that if there isn’t representation in the field, it will be harder for different populations to enter. Not having women in the field resultingly makes it harder for new women to break in. There are a lot of really good places in tech to work that are challenging, supportive, and welcoming. But there are also some stifling and unsupportive pockets that women and other underrepresented demographics tend to be extra susceptible to. Those populations in particular unfortunately need to be extra vigilant about vetting where to work and also need to be proactive about handling uncomfortable situations and advocating for themselves. That extraordinary awareness is an additional obstacle of being underrepresented in tech. IFA: What challenges have you faced in the workplace, especially with your experience in male-dominated environments? Beth Anne: The biggest challenge I have faced was letting some men with power over me take away the merit of my accomplishments and the feeling that I belonged in tech. In college I was accepted for an internship at a really prestigious company (please note that this was not Microsoft). When I arrived for my internship that summer, one of my original interviewers hit on me. In that moment, I felt the strength of my achievement, passing a tough series of interviews at a super reputable firm and earning my place among my peers, as not my own and solely his. My narrative changed, and from then on I could only believe that I received my internship offer because he wanted to sleep with me. The effect of that event snowballed after the internship ended. Having a powerful name on my resume made me stand out. Suddenly, all my subsequent successes were his, not mine. For years afterward I told myself I didn’t belong in tech and I wasn’t responsible for any of my accolades. Taking back my agency took years of mentorship, self-reflection, and intentionally rethinking my past to see the truths of what I had accomplished, independent of his influence. Getting to a point where I truly believed that my achievements reflected my own worth and hard work, and not the urges of one man, was the biggest challenge I have overcome in tech. That said, I really do want to balance out this anecdote and remind everyone that most people in tech have such good souls, and it’s just a few unideal folks that can sour things. I hope sharing this story can enhance peoples’ understanding and prevent similar things from happening. IFA: In a management position, how have you found it best to promote and nurture women in the workplace? Beth Anne: I haven’t been a people manager myself, but I’ve been a mentor many times over. My biggest pieces of advice when mentoring are to show unconditional kindness without judgment, listen fully, make yourself available to your mentees, and be proactive if you notice an opportunity to support or coach someone you’re mentoring. IFA: Are there particular areas in IoT where you see a lack of women and representation? If so, where and why do you think that is? Beth Anne: Yes, unfortunately the lack of women in tech is ubiquitous. From a technical perspective, I’ve anecdotally noticed that the further down the stack you go, the fewer women there are. On an electrical/computer engineering side, this means that more women gravitate toward software and away from circuitry and the physics behind electronics. Within my engineering school at CMU I noticed women tending toward biomedical, chemical, and civil engineering and away from electrical/computer and mechanical. It’s also incredibly difficult to find female representation in leadership. I can count the number of female technical professors I studied under at CMU on one hand. In industry there are incredibly few women managers, and even fewer in senior leadership. There is research upon research theorizing why the gender gap is the way it is that I can’t do justice to in a short answer here. At a high level, there are problems encouraging women to enter tech in the first place and problems retaining women in tech throughout their education and careers. Similarly, there are problems lifting women into leadership positions. The problems involve so many things including societal norms and stereotypes, women having less exposure to technical experiences early in life, conscious and unconscious biases, disproportionate parental duties falling on women, and so many other issues that contribute to the disparity. Understanding and unblocking all these barriers is an incredibly complex and multifaceted problem. IFA: How are you addressing increasing diversity and inclusion in IoT? Beth Anne: My personal crusade is for increasing inclusion for mental illness, mental health, and mental wellness in the workplace. Every person needs to strike their own balance between their privacy/comfort and bringing themselves fully to work when it comes to health and disabilities, but with mental health in particular, people are shamed into keeping their needs a secret. In 2017, I opened up publicly to Microsoft about my battle with mental health in the workplace, hoping to set an example in reducing the shame associated with having a mental illness. To continue that momentum, I recently submitted an application to speak at a conference about how to manage your mental health at work. I’m also looking into signing up for a mental health first aid course, a course from which I intend to share takeaways with my team. I’m hoping that through these steps, I can start by improving mental health awareness in my own sphere of influence and accordingly set an example that can be applied throughout the industry. IFA: What is the best piece of advice you have ever received and one piece of advice you would give our readers? If you’re having a problem or issue at work that you need to escalate, escalate as soon as possible. As the lady who gave this advice said, changes at work don’t happen immediately. This means that if you go to your manager for help when you literally can’t take it anymore, it’s already too late. You need to ask for help in time for that change to happen. People get advice over and over that they need to work on their weaknesses and be well-rounded. While there’s merit in that advice, one cool alternate thought I heard was to also work on your strengths. People can’t be good at everything, and sometimes the people that stand out most are ones that have a specialty or some killer skill they consistently knock out of the park. Working on honing that thing you’re already good at can make you a really exceptional employee. As for my own piece of advice, when faced with difficult situations, I encourage people to remember that nothing is permanent. For example, during tough times in my own career, remembering that I have the ability to change teams when working in unhealthy environments or that people change jobs and won’t be my coworker forever when I’ve had lingering clashes with peers helped carry me through. Holding onto the idea that things will change helps keep me grounded during tough times. IFA: IoT can be stressful, how do you decompress? Any tips or tricks? Beth Anne: My biggest tip is to be intentional about your time and wellbeing. This means so many things. Don’t be afraid to take mental health days. When you’re done with a day of work, sign off completely and don’t let emails and work problems bleed into your evening. Remember that work will always be there and there will never be a perfect time to take a break, but you need to do it anyway to stay sane and healthy. These all sound counterintuitive to productive work but taking care of yourself first and taking time to decompress fully and return to work refreshed turn out to be good for you, the quality of your work, and the quality of your life. Shannon is the Community Director of IoT For All and a Digital Marketing Manager at Leverege. She is interested in the intersection of technology and society and dedicated to growing the number of women in the technology industry. Shannon graduated from the University of Maryland with a B.A. in Communications and a B.A. in Sociology.